Penguin announced this morning that the company has reached an agreement with the US State Attorneys General to pay $75 million as a settlement for the eBook price fixing claims that have been launched against Apple’s iBookstore. US authorities have called Apple out for collusion with electronic book publishers, saying that the Cupertino-based company conspired with publishers to raise eBook prices when negotiating iBooks by playing them all against each other and against rival eBook retailer, Amazon. “Penguin has reached a comprehensive agreement with the US State Attorneys General and private class plaintiffs to pay $75 million in consumer damages plus costs and fees to resolve all antitrust claims relating to eBook pricing. Penguin has also committed to the State Attorneys General to abide by the same injunctive relief as previously agreed in a separate settlement with the Department of Justice. In anticipation of reaching this agreement, Pearson had made a $40m provision for settlement in its 2012 accounts. An incremental charge will be expensed in Pearson’s 2013 statutory accounts as part of the accounting for the Penguin Random House joint-venture. Penguin was one of five major publishers named in the Apple eBook price fixing antitrust case. 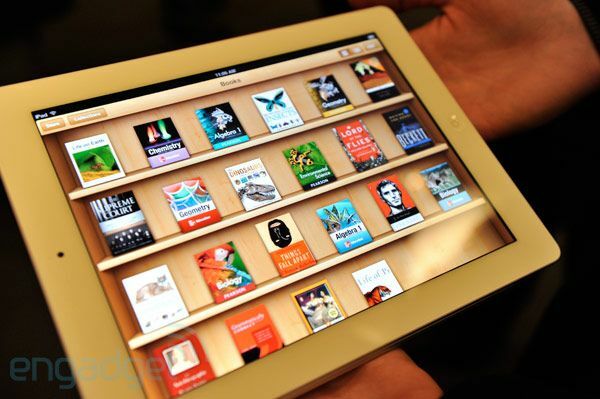 The Department of Justice alleges that Apple and the publishers fixed prices on eBooks when the iPad was launched in 2010. Since the antitrust case was announced last year most of the publishers have reached a settlement with the DoJ, with Apple being the lone holdout as it waits to go to court with the DoJ in June.